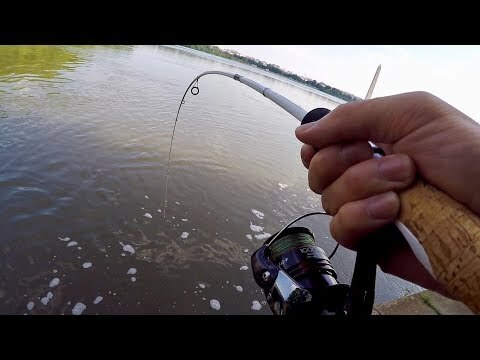 Bass fishing with STUPID baits!!! 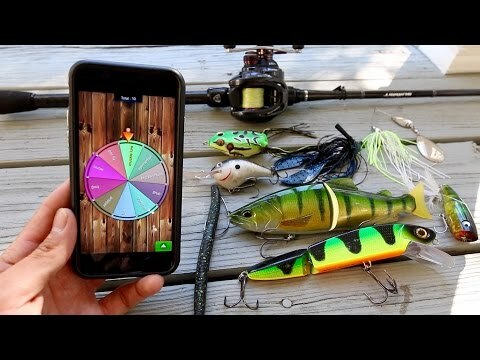 Jon B. challenged me to a fishing contest where we each had to order the other $50 worth of the most foolish looking lures we could find online. 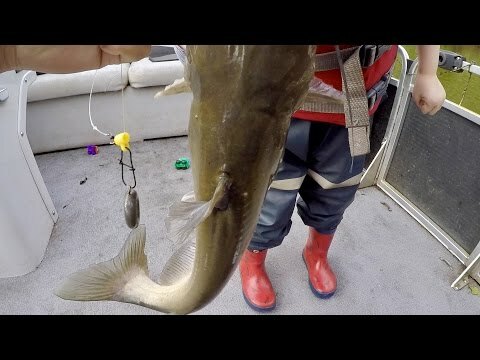 Then, we had six hours to get on the water and try to catch one fish on every bait, the angler who catches the most bass on these crazy baits wins! 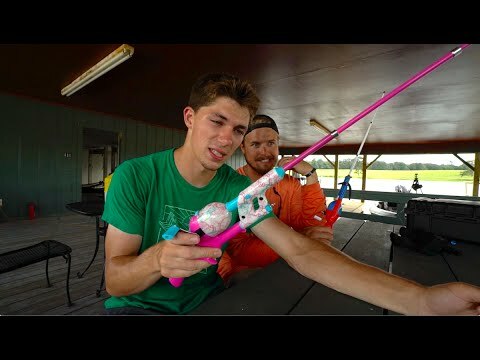 Be Sure to SUBSCRIBE for New Videos Every Week!!! 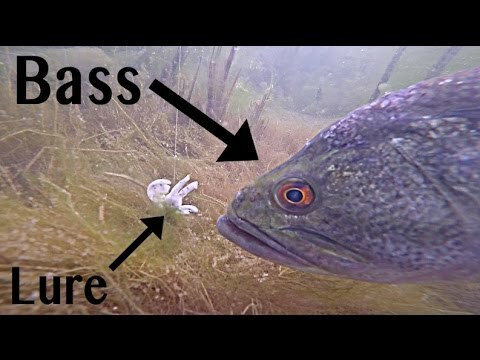 http://bit.ly/1RodSUB As a small thank you for helping me reach 1 million subs - Download my FREE 23 Page Guide to Bass Fishing Lures at the bottom of this link - https://www.patreon.com/1Rod1ReelFishing Follow Jon B. and check how he did using the baits I sent! http://bit.ly/1O8bbvX BEANBOOZLED - Try these if you dare :P Look out for the live stream where Jon and I face off in break the tie! 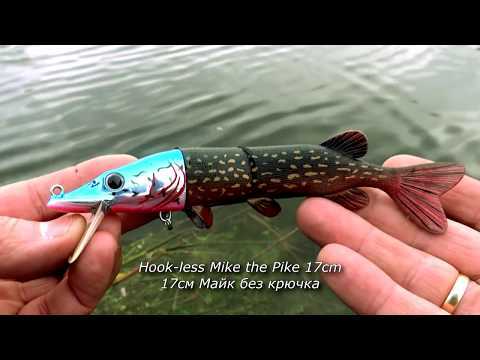 http://amzn.to/2fkxgCh (Affiliate) ----------------------------------------­----------------------------------------­-------------------------------- Rod/Reel/Line/Lures used: -Favorite Summit Rod 6'8" med/fast http://bit.ly/2cbBoyc (Ad) -Gulp Alive Saltwater Shrimp http://amzn.to/2e1UPOc (Affiliate) -Tight Lines UV Punch n Rig -Mann's Craw George -Big Hammer Perch Grubs -Mann's Ghost -Mimic Minnow http://amzn.to/2fkw2H4 (Affiliate) -Suffix 832 braid (10 lbs) http://amzn.to/297TGzf (Affiliate) -Seaguar Tatsu fluorocarbon (7-12 lbs - leader) http://amzn.to/29amYxX (Affiliate) -Shimano JDM BFS limited Aldebaren ----------------------------------------­----------------------------------------­-------------------------------- Location: Potomac River - Great Falls, Virginia Date: October 25th, 2016 Primary Pattern: Finding deep pools in the cool water Time Fished: 2:00 pm - 6:00 pm Air Temp: 63 degrees Water Temp: 58 degrees Water Clarity: 36 inches Conditions: Mostly sunny and calm (river is protected from the wind) ----------------------------------------­----------------------------------------­-------------------------------- Playlists: How To Vids - http://bit.ly/how-to-fish Fishing the World http://bit.ly/fishingtheworld Collabs with Legendary Anglers - http://bit.ly/fishingcollabs Fishing my home waters - http://bit.ly/fishinghomewaters Epic Fishing Challenges - http://bit.ly/fishingchallenges Bass Tournament Vids - http://bit.ly/BassTournaments Fishing with my Subscribers - http://bit.ly/SubFishing Fishing around the U.S. - http://bit.ly/FishingtheStates Multi Species Vids - http://bit.ly/multi-species Saltwater Fishing - http://bit.ly/SWfishing Subscriber Fishing Tournaments - http://bit.ly/SubTournaments Mystery Tackle Box Slams - http://bit.ly/MTBslams My Tackle Collection - http://bit.ly/bassFtackle Other Playlists - http://bit.ly/1R1Rplaylists ----------------------------------------­----------------------------------------­-------------------------------- Camera Gear: Gopro Hero 4 silver (first person filming) http://bit.ly/hero4gp External audio http://bit.ly/GM100mic Skeleton housing http://amzn.to/2adqFVP Chest Mount http://bit.ly/GPchesty Must have GoPro Accessories http://amzn.to/2c1gLYp MicroSD card http://amzn.to/2aN8JyT Additional Batteries http://amzn.to/2bjhJi3 Portable Tripod http://amzn.to/299SOu3 Camera Bag http://amzn.to/2bRaoIN Lens Cleaning Kit http://amzn.to/2bJctmY Sony a5100 (portable vlogging camera) http://amzn.to/29cGrjO Canon 70D (high quality camera) http://amzn.to/29ByeVb Canon EF-S Lens http://amzn.to/29cGBYE Rode Mic http://amzn.to/29kgfpD Gorilla Tripod Mount http://amzn.to/2aLISbp MicroSD card http://amzn.to/2aOZO6l (Above links are Amazon Associate links) ----------------------------------------­----------------------------------------­-------------------------------- Support me on patreon for awesome perks! 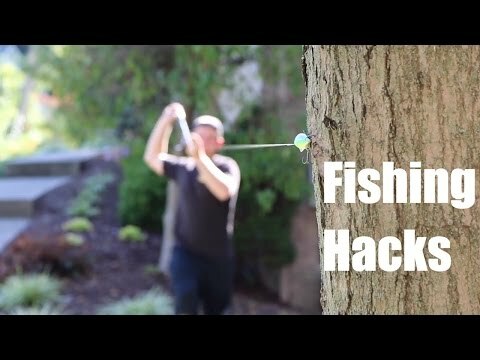 $1 - One bonus video per month + a private patreon only live stream! 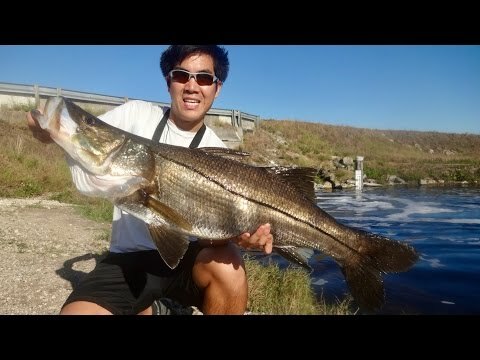 http://bit.ly/1R1Rpatreon $2 - Lure Guide to Bass Fishing (21 pages) + a guide to growing a fishing YT channel (23 pages) (Plus all $1 perks) http://bit.ly/1R1Rpatreon Instagram (Daily fishing pics! ): http://bit.ly/1R1Rinsta Facebook (Picture albums): http://on.fb.me/1ThWG0f ----------------------------------------­----------------------------------------­-------------------------------- Send me mail :D Michael Hsiao P.O. Box 6371 Ellicott City, MD 21042 Email - [email protected] (business inquiries only) Subscribe for new videos every Tuesday, Thursday, and Saturday/Sunday! 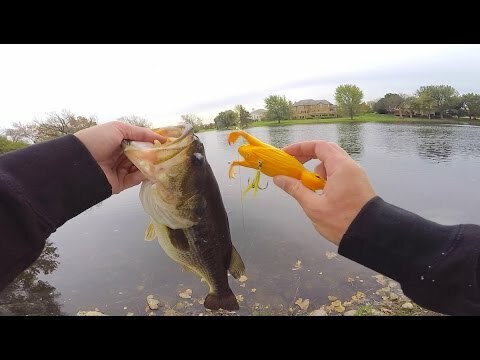 Bass fishing with STUPID baits!!! 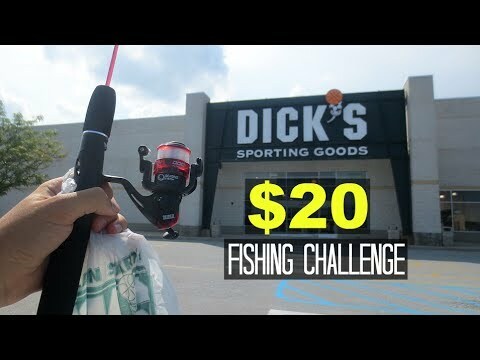 Jon B. challenged me to a fishing contest where we each had to order the other $50 worth of the most foolish looking lures we could find online. 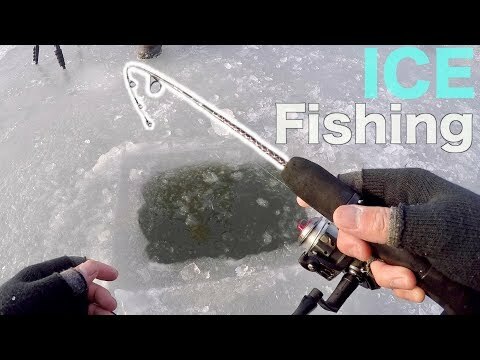 Then, we had six hours to get on the water and try to catch one fish on every bait, the angler who catches the most bass on these crazy baits wins! 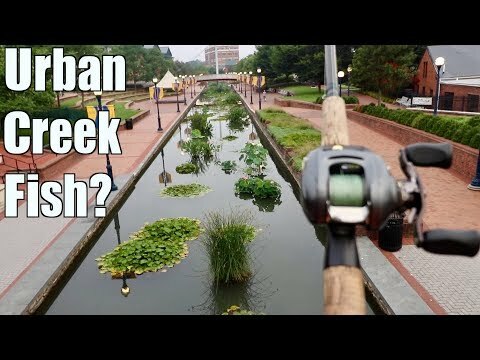 Baby DUCK Lure Fishing Challenge? 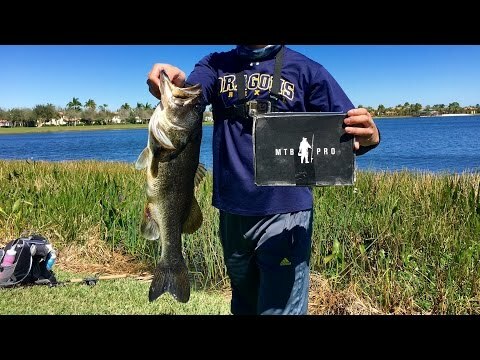 I Caught a MONSTER Fish from a TINY Canal!!! 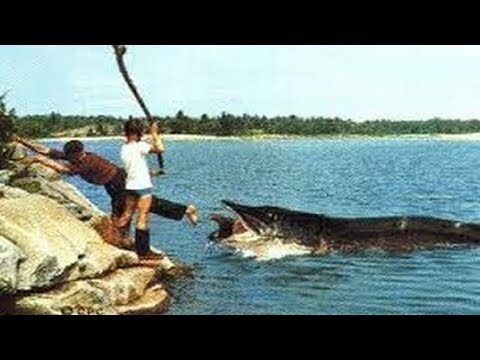 LIVE BAIT vs. 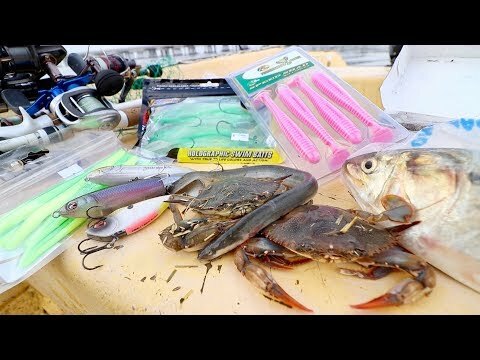 ARTIFICIAL LURE Fishing Challenge -- SALTWATER Edition!! !